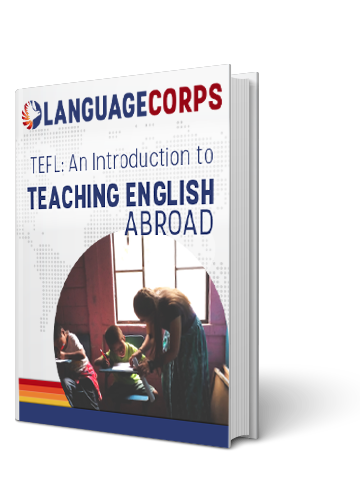 Anna is a LanguageCorps participant currently teaching English in Peru. She sent us over this post about her first few months in Cusco. I truly did not know what to expect when I began my 20-hour-journey to Cusco, but those are always my favorite adventures. Shortly after landing, I realized they weren’t kidding about the altitude as the weight of my body became seemingly more apparent. My first day was a blur consisting of meeting my host family and battling altitude sickness. However most of my stress was alleviated by the efficient services of LanguageCorps starting from my airport pick-up to the arrangement of my host family. Arriving in a new city can be daunting and having the peace of mind that my ride and accommodation were verified and safe made a world of difference. The two months since then have been an unexpected and exciting adventure. I initially chose Cusco for TEFL Certification because of its rich culture and fascinating historical relevance surrounding the Incan civilization. However, I ended up staying for an entirely different reason. A few weeks into the TEFL training course I realized I was falling in love with Cusco and its enchanting landscapes and architecture. A similar pattern began to occur with the local people. The friendliness and helpfulness of the locals I’ve encountered has been overwhelmingly refreshing. Not to mention, the view never gets old. Immediately after I completed the four-week training course, I accepted a job as an English teacher at a local school. Teaching English abroad was something that I initially saw as a stepping stone, but has grown into so much more for me. I have found a real sense of enjoyment from teaching and it is a fantastic way to support a traveler’s lifestyle. I was initially concerned about staying in an accommodation where food was provided due to the fact that I have Celiac Disease and adhere to a strict gluten-free diet. But my fears were all appeased when I arrived to a more then accommodating host family and delicious gluten-free meals. I took a week of Spanish classes, which was really helpful for learning some basic phrases as I was settling into the city. I also had a few hiccups since arriving in Cusco, such as having my luggage lost by the airline and catching a bacterial infection during my first week of training. Fortunately, the local staff went above and beyond to help me on both occasions. Adapting to life in Peru has been an adjustment, but one that has been well worth the effort. The unpredictable rain can be somewhat of a nuisance, however what the city lacks in weather, it certainly compensates for in beauty. Overall, Cusco is a wonderful place to visit, and chances are if you do, you won’t want to leave. I’ve yet to fully take in all that makes up the rich culture of Cusco and its’ Incan ancestors, but one thing is for certain: charm is ubiquitous here.